Knowing how to manage your finances and having a good understanding on financial matters is becoming increasingly vital in today’s fast-advancing world. Thus, it is important for seniors, whether preparing, transiting into retirement or have already retired, to be equipped with knowledge to make better financial planning and decisions. The National Silver Academy (NSA) offers a wide range of learning opportunities, including financial literacy courses for seniors aged 50 years at subsidised rates. Most courses are SkillsFuture Credit eligible too. 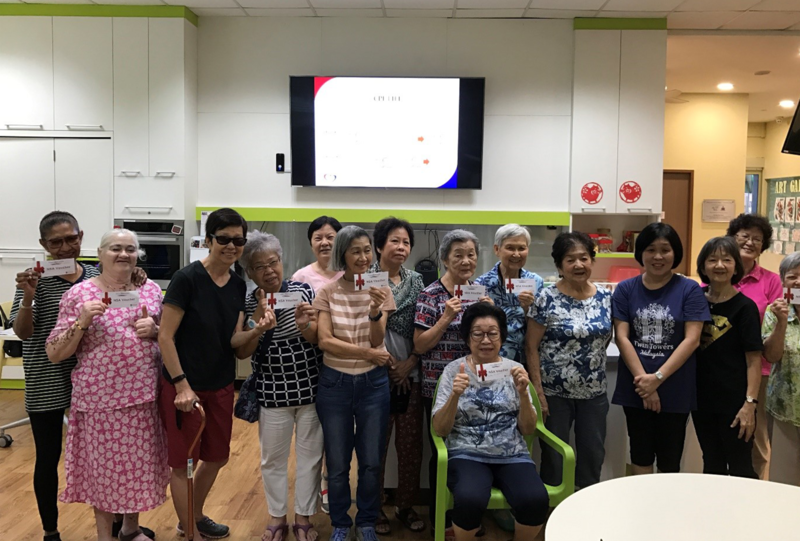 To help seniors at Senior Activity Centres better plan their finances, a 3-hour financial literacy course under NSA was organised for 15 seniors at Methodist Welfare Services Senior Activity Centre @ Teck Ghee on February 22 this year. The session was made possible through the sponsorship from POSB for the out-of-pocket course fees. During the 3-hour session, relevant schemes like Central Provision Fund (CPF), 3Ms and Silver Support Scheme were covered through interactive activities and seniors were also educated on how to identify and avoid scams. Many seniors also recognise the importance of learning new knowledge and skills to keep the mind engaged, to stay connected to society and updated with the latest information and happenings. For Ms Gracei, 70, she shared that it was her first time attending such a NSA course and found that the information useful and beneficial, and is grateful that such activities are conducted in the vicinity for seniors like herself. She has great interest in the arts and she regularly participates in crafts during her free time. Now that she is introduced to NSA courses, she intends to use her SkillsFuture Credit to sign up for suitable NSA courses in the near future.